With so much experience in exporting dogs, cats and birds worldwide you can be confident that all destination requirements will be met in full and that your pet’s welfare is always our absolute priority when planning the journey ahead. 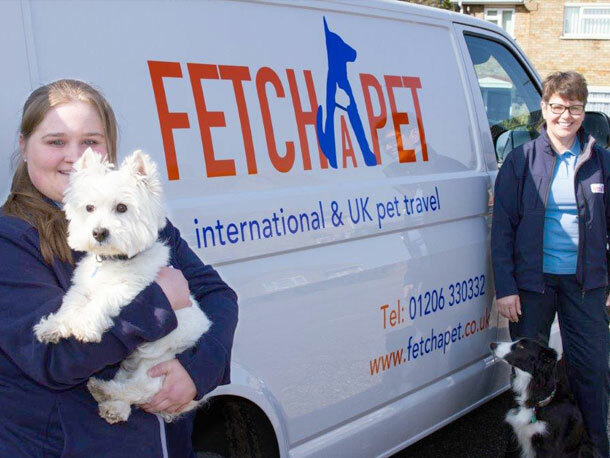 Fetchapet are the pet transport company who are committed to offering pet owners a truly tailor made service based on individual requirements that matches each pet to its best possible travel outcome. 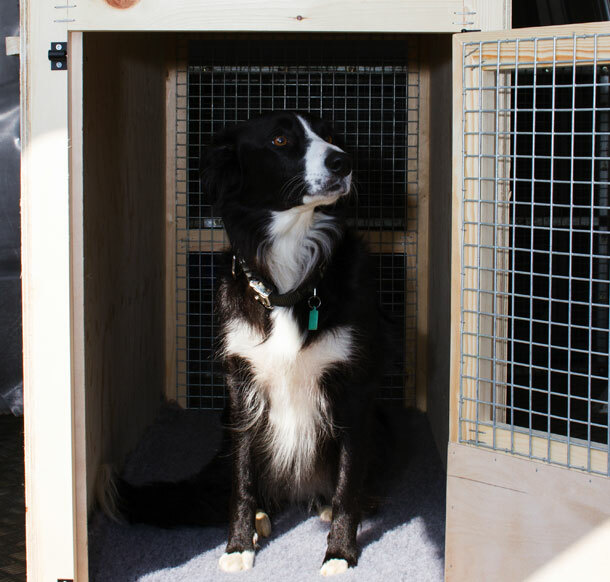 Fetchapet wooden travel kennels are truly bespoke and suited to each individual pet, allowing enough space for maximum security and comfort during the journey. Dog travel crates in particular will vary considerably in size, and all pets need enough space to stand up, turn around and lay down during the journey but not too much room as to risk injury if there is turbulence during travel. Each dog, cat and bird travel crate is constructed so to ensure compliance with the latest IATA Live Animals Regulations (LAR) and so is accepted by all of the major airlines who carry livestock. Our Veterinary Surgeons are available Monday to Saturday for completion of all pet export veterinary protocols, tests and documentation in accordance with DEFRA and country of import regulations. 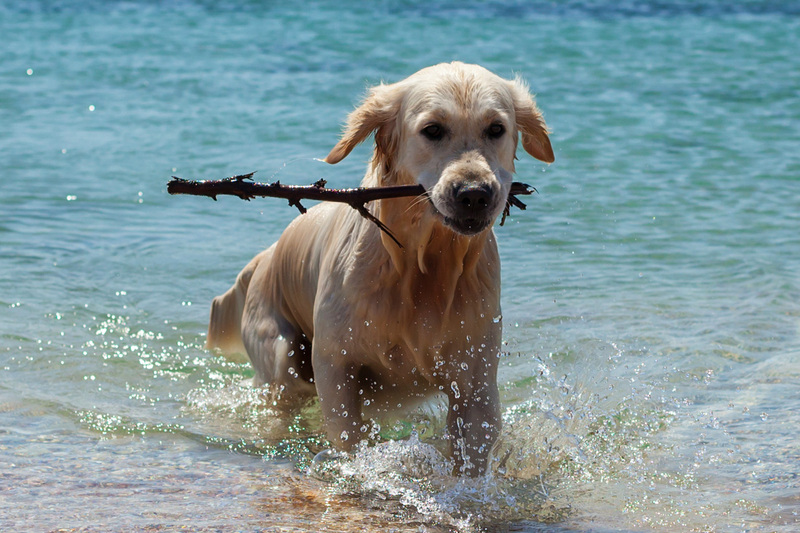 Fetchapet are experts in pet travel from the UK to all worldwide destinations. We understand that flying pets abroad can be the most confusing and daunting part of your relocation process and so we provide a truly bespoke service that guides you right through the pet export process, including liaising with you, your relatives, pet carers or local boarding facility and of course your Veterinary surgeons to ensure a hassle free pet shipping service. Please click here for more information and to enquire. All clients are most welcome to come and visit us and with fantastic dog walks right on the doorstep we are happy to take you for a relaxing country walk to discuss your requirements and offer you a different approach with our truly bespoke pet travel services. Our cat and bird owners are just as welcome to come and visit us for a cup of tea and a chat. Please join us on our Facebook page for the most up to date news and travelling pet stories. DEFRA Type II Authorised Animal Transporters, BA & Emirates recommended pet shippers and I.A.T.A. Approved Agents.